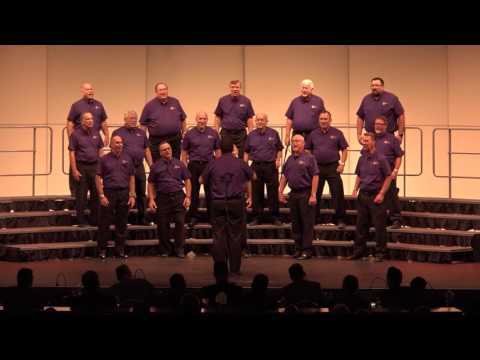 ST. GEORGE — Take a trip back in time while enjoying the “Explosion of Harmony” show by the Color Country Chorus, a barbershop chorus that will be performing at Dixie State University’s Cox Performing Art Center Friday and Saturday evening. The Color Country Chorus performance will begin at 7:30 p.m. on both Friday and Saturday at the M.K. Cox Performing Arts Center, 385 South University Ave. in St. George, with an “Afterglow Party” scheduled after the final show on Saturday. This year’s featured quartet, the Main Street Quartet, performs as the “Dapper Dans” at Disneyland and Disneyworld, and have performed in countless shows across the nation and beyond, as well as appearances in commercials. The group earned the International Champion title in 2017 at the worldwide quartet competition sponsored by the Barbershop Harmony Society. Hosted by the Color Country Chorus, which has been a part of the local community for more than three decades, and a number of the members have performed in world class quartets showcasing a tradition that has been handed down for generations. Curtis Terry, vocal artist of the time-honored barber shop quartet style, is a third-generation performer, as his father was a founding member of the chorus back in the 80s when the group launched “The Sunland Vocal Band,” a quartet that rose in popularity throughout the community for the 15 years they sang together. “The Sunland Vocal Band” performed sell-out shows that drew in crowds of more than 1,000 guests, and “for the last few years we have been following in that tradition and bringing in top notch quartets to perform on our shows,” Terry says. The tradition of a barber shop style quartet has been part of the American landscape since the late 1800s using four-part harmony without accompaniment by any musical instruments. The Color Country Chorus brings together male voices in fellowship to enrich lives through four-part a cappella singing and is designed to be the premier membership organization for men in Southern Utah who love to sing. “It is an amazing art form that everyone loves — even those that don’t know they love it find they love it when they see good barbershop singing, as I have witnessed this many times during my years touring the country doing shows,” Terry said. The group performances are predominantly in the barbershop style and hold rehearsals every Thursday from 7:02-9 p.m. at the American Legion Hall at 245 N. 200 W. in St. George. What: Color Country Chorus’s “Explosion of Harmony” performance. When: Friday, Saturday, Nov. 9-10 at 7:30 p.m.
Where: M.K. Cox Performing Arts Center, 385 South University Ave. in St. George. Admission: Tickets are $15 for general admission and are available at the DSU ticket office in the M.K. Cox Performing Arts Center, online or at the door. Main Street Quartet is great!